Providing U.S. trademark services throughout the U.S. and across the globe. Have a name or a logo, but still need a trademark? It is our mission to make sure you are protected. Trademark Office actions are initial rejections by the USPTO of your trademark application. Do you already have a trademark, but need help protecting your trademark rights? We can help! Alex helped me obtain my trademark hassle free! Great group of people to work with! Timely, efficient, considerate, and very informative! If you value speed, clear communication, and a well-defined process then this is the place for you, could not have been more impressed. Alex and her team were awesome to work with. Good, fast and affordable, they say you can’t get all three, but I’d have to disagree in this case. I will gladly work with Alex again and recommend them to any business owner with trademark needs. At Sausser Summers, PC, our trademark attorneys provide simple solutions for your federal trademark registration needs. It is our mission to provide you with high quality representation that you would receive at a traditional law firm, but at an affordable flat rate price. From the start, you work with an experienced trademark attorney. Our law firm was one of the top trademark filing law firms in the U.S. in 2015, 2016, 2017 and 2018. * We make your U.S. trademark filing as simple as possible, provide professional representation from a licensed trademark attorney, and do so it all in a friendly, easy to understand way. 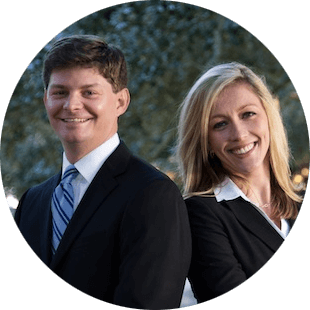 Sausser Summers, PC provides trademark attorney services in a modern way. Our firm simplifies the trademark process by gathering your information via our online trademark forms and informing you with easy to understand email updates. In addition, with our trademark filing service we include a comprehensive trademark search to increase the likelihood of a successful trademark registration. Our registration service includes this comprehensive search, a legal opinion letter as to the likelihood of success of acquiring a registration of your mark, as well as the drafting and filing of your trademark application from one of our U.S. trademark attorneys. The procedures involved in filing a trademark application with the United States Patent and Trademark Office are complex. There are many non-obvious components that go into a successful trademark application. Even when using companies like LegalZoom, do-it-yourselfers often miss or fail to recognize important nuances in their trademark applications and the consequences can be severe. By using a trademark attorney you gain the benefit of having a professional that understands trademark law and the trademark process, which in turn will statistically increase your odds of a successful trademark registration. Our firm was ranked as one of the top U.S. trademark filing law firms in 2015, 2016, 2017, and 2018. * We have filed hundreds of U.S. trademark applications. Our trademark lawyers will file your trademark application on your behalf, become the trademark attorney of record for the USPTO file, and keep you updated throughout the U.S. trademark application process. In addition, we will respond to any non-substantive USPTO Office actions on your behalf. Our trademark lawyers make the trademark registration process as simple as possible for you. Our previous clients have admitted to initially showing reluctance to hire a trademark attorney located in another state. However, once we begin our trademark service our clients understand that we are trademark professionals and truly know the law we practice. Our previous clients have stated, “I felt completely at ease,” “I was at ease as a result of being contacted at every stage of the process,” and “Alex put my mind at ease,” among others. We are licensed trademark attorneys that attended one of the top intellectual property focused law schools, and have handled hundreds of trademark applications. Let our trademark attorneys help you. What sets us apart from the “other guys” is we are friendly, reliable, and knowledgeable. All of our trademark attorneys graduated from a top rated intellectual property law school. Each trademark lawyer has experience filing trademark registrations, filing response to trademark Office actions, filing trademark oppositions, and drafting and sending trademark cease and desist letters, among other important trademark filing services. From the moment you contact our law firm, you will work directly with a licensed trademark attorney who actually cares about protecting your interests. Don’t believe us? Then give us a call to see if we can’t change your mind. When using an online U.S. trademark registration service it’s important to ensure that the people you work with are U.S. trademark attorneys. When you use Sausser Summers, PC you will find comfort in knowing that you are working with an experienced trademark attorney from the start. One of our trademark attorneys will review your file, complete a search, and file your trademark application within about a week. However, the USPTO process is a bit longer. The U.S. Trademark Office provides a detailed timeline for each type of trademark application. It takes roughly 3 to 6 months to hear back from the USPTO regarding your trademark application. At that point in time they will either approve or reject your trademark. If approved, your trademark will receive a Notice of Publication (approval, but has to go through the opposition period). Once approved, through a Notice of Publication, you will have to wait about a month for the mark to publish, and then anyone is given 30 days where they can oppose the mark if they feel it will harm their trademark. Once you get through the opposition period you have about another 2-3 months before you receive your trademark registration certificate or Notice of Allowance (for intent to use applications). During the above process the trademark attorney working on your file will continually provide you updates regarding your trademark application. Sausser Summers, PC, is an actual U.S. trademark law firm with licensed trademark attorneys handling your case from the start. This means that we have the tools and experience necessary to file your trademark application in a manner that will optimize your chance of success. Finally, as business owners ourselves we understand that in today’s economy it is important for you and your business to save both time and money. That is why we do not believe in offering subpar trademark services. Instead, our law firm offers only the most comprehensive representation to our clients, thereby increasing their chance of success in obtaining a registration. If you are looking for trademark lawyers to assist you in acquiring trademark registration in a simple, straightforward, and efficient manner, then give our law firm a try. Simple online U.S. trademark registration service with a trademark lawyer working on your behalf from the start. There may be additional trademark filing options for you if you have a foreign trademark registration or pending foreign trademark application. As long as you intend to use your goods/services in the U.S., you can qualify for a U.S. trademark. One of our trademark attorneys can review these options with you. In addition, filing for U.S. trademark registration not only protects you from U.S. trademark uses, but protects you from foreign entities that also sell in the U.S. Trademark Attorneys Outside the U.S.? If you are an attorney located outside the U.S., feel free to use our firm to file your client’s U.S. registration. In accordance with U.S. law, “a foreign attorney who does not meet the requirements of 37 C.F.R. §11.14 cannot represent the applicant before the USPTO or sign a response to an Office action on behalf of the applicant.” Ensure your client has a U.S. trademark attorney who can respond. We can help file your trademark registration in the U.S. to avoid problems down the road.